Sorry I keep disappearing, but last week's unexpected vacation gave way to this week's annual 48 hour film festival. My group of amateur filmmakers Edwin J Hill produced a sweet little short called Home Grown that I'll be posting as soon as it is available (have to wait until after the first public screening). 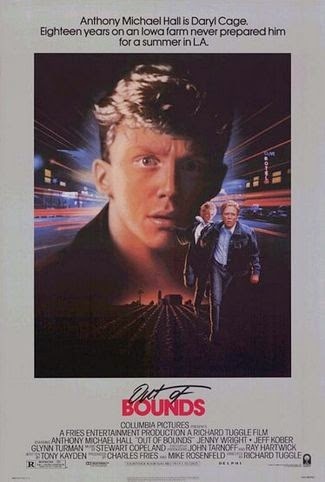 Anyway, things should be back to normal this week, and in the meantime, here's the latest episode of my Saturday Night Jive podcast, all about the Anthony Michael Hall movie Out Of Bounds. Enjoy.